Frida looks like she's getting ready to DJ. 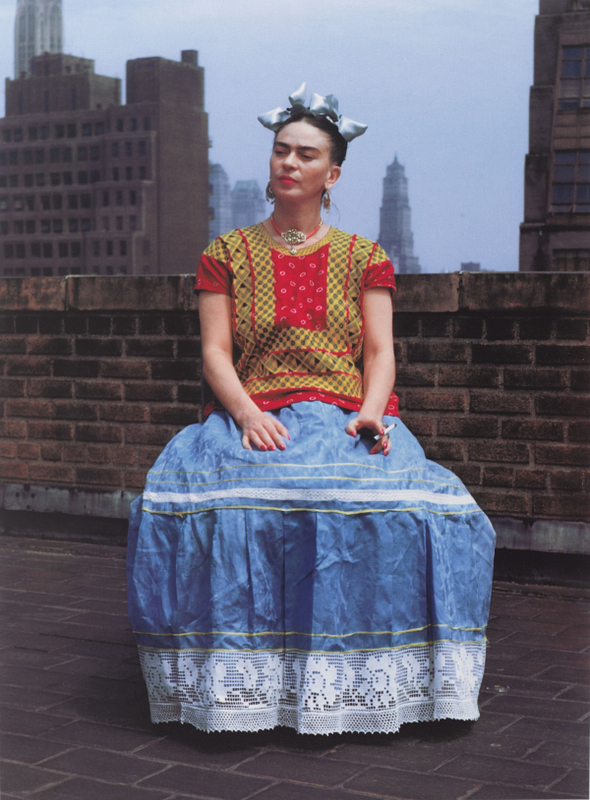 great photo; it reminds me of when I was Frida. Wait, no it reminds me of when i lived downtown. Hang on, my water's no boiling yet. @steveo: That's always a great conversation starter: "What, you were once Frida?? Me too!" I'd be more impressed if Olivia had taken the photo herself. you think this building is haunted? haven't seen this Black Rain release, gotta track it down. What's the music that was just paying behind the DJ? It sounded really nice. Hi Olivias! Got a plain ol' ham and turkey, heavy on the Mr. Mustard on deck for this tired human today. Listening from a non rainy location and still great. Hello Olivia. Luna do a cover of Everybody's Talking as well. Folky Fred Neil wrote it. of course you know the Bill Withers version. i couldn't really hear your mic break. I’ll 3rd the RR vibe in the rain!!! according to Wikipedia, Leonard Nimoy did a version. We lost Harry 25 years ago Jan 15th. Recent changes to the firewall here at the office precludes my being able to see the photo on the playlist (I'm lucky I can see the playlist at all). hi, olivia and folks. digs me some flickering picking. Thank you for these acoustic rags, Olivia! what a great photo of Frida on the playlist. I've never seen it before. @prudy brooklyn museum's doing a whole exhibit on her... i wanna go! @John - all the time! this is a hello thing. good to know about Frida exhibit. Will try to get there! I have woofmoo specific playlists - got 218 songs in there so far, with another 100 or so to research and add! i sometimes use youboob to research a song or an artist; but there's always a better source available. i start with bandcamp and then discogs. sphere, me too. but if it's not on bandcamp and i want to hear a clip of it then i try spotify, then youboob. ...well i may try spotify first, if it's already open. uhhhg I listened to this album twice last night and teared up, I love the accelerated nostalgia sometimes, indulge memories good and bad, all sides of love in her pop anthems. @ben abs do you have a website for woofmoo? enjoying J Pratt's new output. I drove across Indiana twice last week. The place gives me the heebee jeebees. Rainy here in New Brunswick Canada too - perfect soundtrack. Canada loves WFMU. indiana's southern tip is pretty depressing; but that's all of the state i've ever seen. sadly (for me) not really worse than the town i live in at the moment. Alexa. What is going on? woofmoo.org is registered, but there is no web page there. spell "i love this track". I'm still mourning the loss of my last Woof Mu car decal. I'm just going to clicky star favorite this episode and sit back and relax. A++ would ravioli again. Really loving this set. it would be great if woofmoo.org redirected to wfmu.org. @chris - you could purchase the domain name and make it happen, Captain. I see that ravioli.com and ravioli.org are taken, but ravioli.net is unclaimed, as I type this. Simon Scott is the perfect bizarro Scott Simon. someone already has woofmoo.org but the others are open. Is this the Sublime Frequencies Indonesian heavy band? @ tim - yes, yes it is! Agree Mark, John- fine sounds emanating from the radio towers. It looks like they are playing at Stanford this weekend! Any Californians on the board right now? Standford is a bit over an hour from my location, Tim. Sadly, i will be even farther away by Saturday. Oh wow. Little Axe Records is the store in Portland OR. One of my favorite shops in town. @John from Florham Park, Its all about the clicky stars! i had to look up kodalith and i must say i could get the same end result using hp5 or tri x, and filters. makes me pretty sad to think about it. does anyone have a darkroom i may use? I'm a sucker for any piece consisting of a lady singing to a piano playing with sustenuto. seeley, a Kodalith effect is also possible (of course it is, right?) using Photoshop. Basically just blows out all the midtones. Hey, no fair! I see now you played something recorded off Mary Wing, opposite Mary Wing's show, if I recall my GTDS schedule correctly. Thank YOU, Olivia, another fine show today. thanks, olivia! see ya then. Hadn't known Brigid M.P. was on WFMU live. Thanks for another wonderful show, Olivia! Sorry, Olivia, I DID recall wrong -- Mary Wing's on Wednesday, today's Thursday.